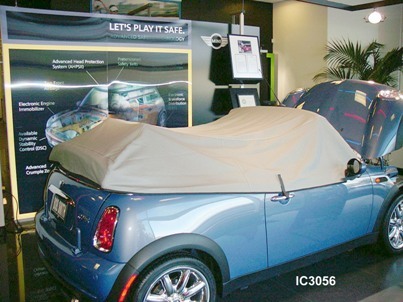 Our innovative Mini Cooper car covers provide maximum protection from weather and dings! 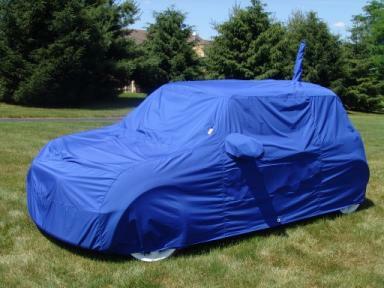 We also offer our exclusive Door Dent Protection in our Full Covers and Roof Covers. NOT available for the NEW MINI coupe and roadster. Same cover as shown above in Blue WeatherShield but made in NOAH fabric. Now available for the NEW MINI coupe and roadster, make selection at check-out. Now available for the MINI convertible NOT the new MINI roadster ! Select MODEL YEAR at checkout. 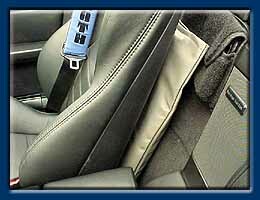 This "Top Down" Interior Cover is designed specifically for your MINI convertible. Made from NOAH fabric not inexpensive polly cotton, a little more expensive but worth the performace gains as this cover keeps your interior cool and offers protection against water, UV light, dust, and bird droppings. Gray in color. 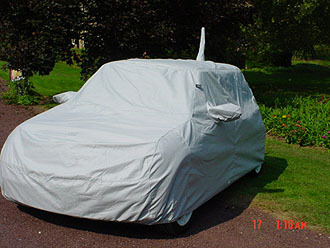 Also available in the WeatherShield fabric in eight colors for an additional $30.00. Make this selection at checkout. 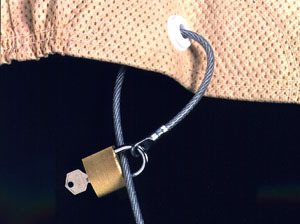 Click " HERE" for more information about the fabrics used in our covers. Premier Custom Mini Cooper (2002-2007) Floor Mats. Custom fit heavy duty cut nylon pile carpet. Set of 4 floor mats (no grommets included). This will fit all models for years 2002 - 2006 only. There is a separate option for the 2007 model. 100% durable with a thick, plush feeling. These floor mats have better coverage than most original mats and are WASHABLE! Sturdy vinyl nibbed backing keeps them in place. Premier Custom Mini Cooper Floor Mats are available in the following colors: Beige, Black, Caramel, Driftwood, Evergreen, Gray, Gray Mist, Navy, Smoke, Taupe and Wine. Previews of the available colors can be found by clicking on the underlined Mini Cooper (2002-2007) Premier Custom Floor Mats link next to the picture above. 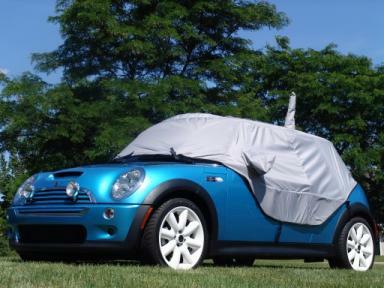 Colgan Custom 2 Piece Bra for the Mini Cooper & "S"
Protect your hood with a snug fitting Colgan Bra. No more stone chips! Select "Standard" or "S" Mini model on check out. Please call for availability if timing is critical. Colgan Custom BRAs are special order and are not returnable. Delivery time is currently 6 to 8 weeks. 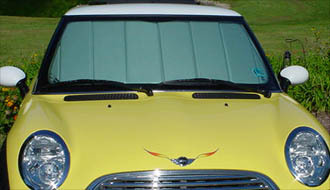 Colgan Custom Mirror Covers/Bra for the Mini Cooper & "S"
Protect your mirrors from chips and bugs. 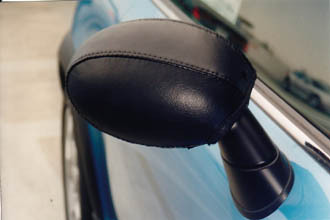 These Colgan mirror covers are custom cut for a perfect fit. Fits Mini and Mini S. Select Model Year on Check Out. IN STOCK - Here is a great way to keep loose items in your trunk secure while motoring. Three generous pockets. Easy to install.